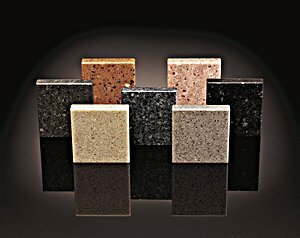 Quartz is regarded as the most durable option for kitchens due to its incredible properties. It is made from one of the strongest and hardest minerals on earth and thus it is extremely hard and sturdy. Furthermore, quartz products also exhibit excellent chemical resistance to non-fluorinated acids and solvents, thereby making it a popular choice for kitchen table top. If you have a quartz countertop in your kitchen, follow these simple guidelines to keep it in tip-top condition at all times. Clean your quartz stone countertop routinely with a soft cloth or paper towel and warm water. Use a small amount of non-bleach, non-abrasive detergent only if it is necessary. Wipe up food and liquid spills as soon as possible to prevent stubborn or dried spills. Use a non-abrasive, non-scratch cleaning scrub pad to remove stubborn stains, if there is any. Always use trivets when placing any hot items on your quartz stone kitchen table top to avoid thermal shock. Always use a cutting board when chopping or slicing food. Never do it directly on your quartz countertops. If you have more difficult spills such as nail polish, gum or paint, you can remove them by gently scraping away with a plastic putty knife. Remove ink or permanent marker stains with an oil-based cleaner, and rinse with warm water immediately after that. 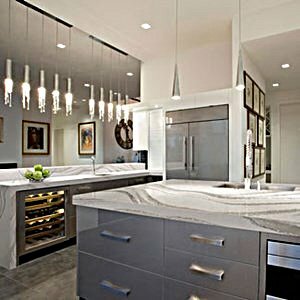 Avoid placing too much pressure or force on your quartz stone top as it might chip the stone. Avoid using bleach to clean your quartz countertop as it may lose its sheen if the product remains on the surface for more than 12 hours.